Jacket & Pullovers There are 6 products. Contact us for Team Pricing! 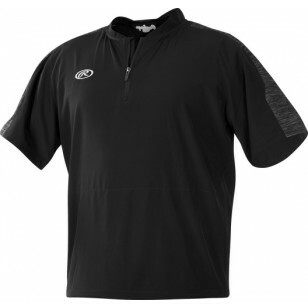 Lightweight woven performance fabric with Dynamotion Fit designed specifically for baseball motion. Wind & Water resistant. Side seam pockets. 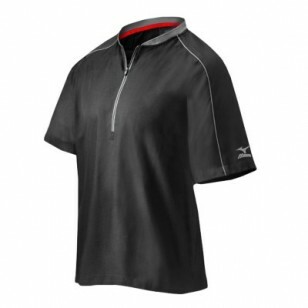 Mizuno Runbird® heat transfer on rear neck. Contact us for Team Pricing! 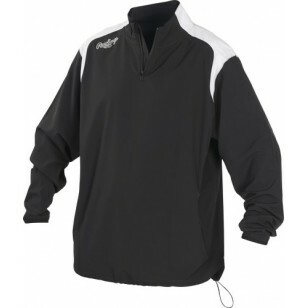 The spectators can watch you shine with this Short Sleeve Batting Cage Jacket. 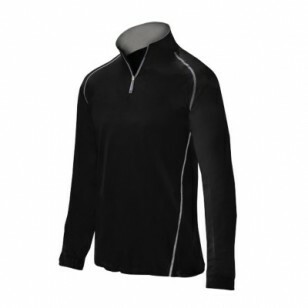 This jacket features a 95% polyester shell with a soft touch feel for comfort. 100% polyester flat back Pro Dri mesh inserts are tactically placed in the hot zones to keep you cool on those warmer days. Contact us for Team Pricing! 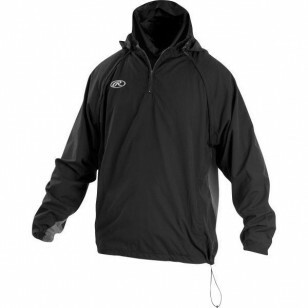 Stay warm on the bench or in the stands with this new 1/4 Zip Pullover Jacket. 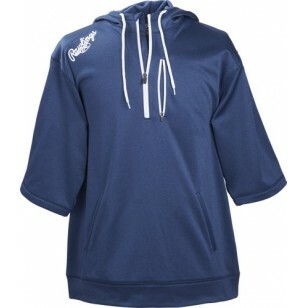 The FORCE features 2 zipper front pockets and a straight hem with a drawstring cord.